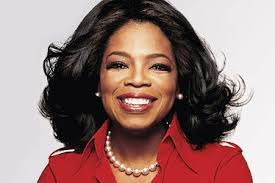 Oprah was born Orpah Gail Winfrey on January 29, 1954. She is popular for her self-titled, multi-award-winning talk show, The Oprah Winfrey Show, which has become the highest-rated program of its kind in history and was nationally syndicated from 1986 to 2011. She has been ranked the richest African American of the 20th century. She was for a time the world's only black billionaire. She was born in rural Mississippi to a teenage single mother and later raised in an inner-city Milwaukee neighborhood. She experienced considerable hardship during her childhood, claiming to be raped at age nine and becoming pregnant at 14; her son died in infancy. Oprah didn't receive her first pair of shoes until she was six years old. She was voted Most Popular in her senior year class and she won the 1971 Miss Black Tennessee beauty pageant. Winfrey landed a job in radio while still in high school and began co-anchoring the local evening news at the age of 19. She helped a third-rated local Chicago talk show to first place. She launched her own production company and became internationally syndicated. In 1985, Winfrey co-starred in Steven Spielberg's The Color Purple as distraught housewife, Sofia. She was nominated for an Academy Award for Best Supporting Actress for her performance. From 2006 to 2008, her support of Barack Obama, by one estimate, delivered over a million votes in the close 2008 Democratic primary race. In 1993, Winfrey hosted a rare prime-time interview with Michael Jackson, which became the fourth most watched event in American television history as well as the most watched interview ever. On September 10, 2007, David Letterman made his first appearance on her show as its season premiere was filmed in New York City. In 2009, Winfrey was criticized for allowing actress Suzanne Somers to appear on her show to discuss hormone treatments that are not accepted by mainstream medicine. The series finale of The Oprah Winfrey Show aired on May 25, 2011. On an average, approximately 40 million of Americans who watched her show each week. Green is her favorite color. She helped her mom out of a lawsuit claiming Vernita Lee owed $155 000 in unpaid clothing store bills. Her production company, Harpo Productions, is her name spelled backwards. Her magazine is named after her nickname, "O", and the editor is her best friend Gayle King. She became a millionaire at age 32. According to Forbes, in September 2010 Winfrey was worth over $2.7 billion. Oprahfication is a term coined by the Wall Street Journal to mean public confession as a form of therapy. In 2000, she was awarded the Spingarn Medal from the NAACP. In 2004, she became the first black person to rank among the 50 most generous Americans. By 2012 she had given away about $400 million to educational causes. As of 2012, she gave over 400 scholarships to Morehouse College in Atlanta, Georgia. She now resides at The Promised Land, Montecito, California, United States. Winfrey has co-authored five books.